Recorded March/April 2001 in Athens and Volos, Greece. 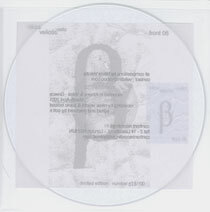 A limited edition CD-R release of 100 copies. Note: some copies were printed with the number 'front 06'; front 08 is correct. Go to List of Confront Recordings or to list of Independent Record labels.